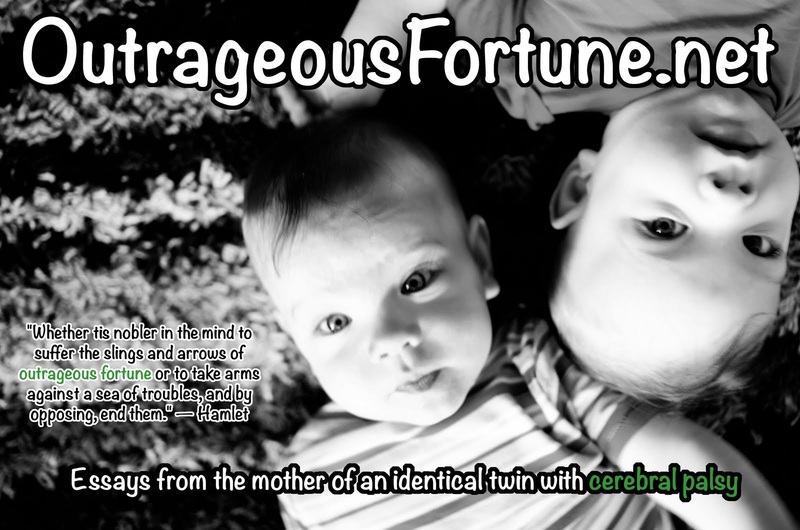 Outrageous Fortune: Cerebral palsy blog party! 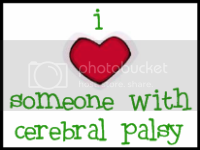 A blogging buddy of mine recently added me to a Facebook group for people who have adopted children with cerebral palsy. I am simply in awe of people who would not only choose this special needs life but who actively fight, travel and pay money to adopt these children to whom they have no obligation. They already seem awesome and I look forward to getting to know them better. Anyway, a member of that group has a popular blog and is having a blog party of cerebral palsy blogs. I don't have a lot of time right now, and I might have passed it up except that an employee of my local chapter of United Cerebral Palsy called yesterday and asked if I could compile a list of some of my favorite CP blogs. I've learned to pay attention to coincidences. 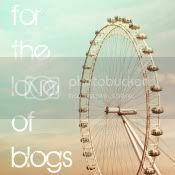 www.lovethatmax.com <----- She's my inspiration to start my blog so she gets top-billing, all others are alphabetical. If there are any that I've missed, please include them in the comments section! *Keep in mind I use the term "follow" loosely. I try to read as much as I can but, c'mon, people, I have 1-year-old twins. OK, well that already took longer than I'd hoped, so there you go! I've been reading your blog for a few months now, but never introduced myself. Our 7 month old baby girl was recently diagnosed with CP. She was born with brain injury and seizures, so it's not really a surprise, but kind of a bummer nonetheless. Anyway, I am wondering who you see for craniosacral therapy and feldenkrais/Anat Baniel Method therapy? I live in Bend, but would be willing to drive to Portland, since I can't find anyone local. Thanks so much, love your blog! For Craniosacral, we see http://www.doctorkorin.com/ who is just a fantastic person. I'm surprised there isn't anyone in S. Oregon, though. It seems like Ashland would have folks like that. Also, you are much closer to California than we are, where there are many clinics I would love to be able to visit. If you need more, feel free to shoot me an e-mail. Read you in the new year happy holidays! Oh, the facebook group is not for parents that adopted kids with CP! it is for parents that have kids with CP and adults, no matter how you got them. It was, however, started by some of us adoptive moms because we already knew each other (on-line) because of adoption. We are still learning what it means to have a kid with CP...okay, don't we all! And di you know my youngest daughter was born with Down syndrome? That is how we ended up adopting another child with special needs. it just so happens that Nina has CP. But it was my baby with an extra chromosome that introduced me to the world of special needs, and I got to say, one of the greatets blessings have been the friendships that have developed because of my kids! Thanks you for joining in the CP connection! Ellen: Oh! I thought it was just for adoptive parents. Very cool! Thank you for telling me more about your story. I think the Reese's Rainbow and all you adoptive SPN parents is so inspiring. There are SO many kids with CP who need families! Just to name a few cutie pies!!! Its nice to meet you! Your little guys are adorable! Cool! I adopted a little guy with CP! 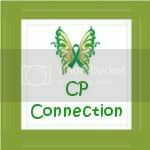 I am excited to be able to find fellow CP parents and families! Molly: Thank you! That's so great of you to work on their behalf. Cool. My daughter has CP. UCP doesnt have a chapter in my state. Is there a group in Arizona or California I can be a part of? I'm really surprised California doesn't have a chapter. There are other organizations that support CP, such as Reaching for the Stars. I would also search on Facebook for a local group of parents of kids with CP. Or start one yourself! The groups I'm part of on Facebook have been a wealth of information and support.